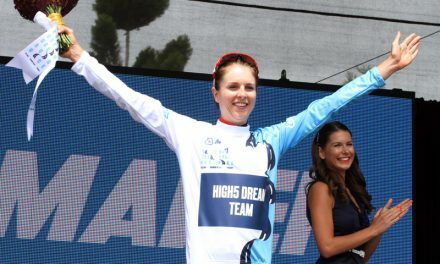 After winning all four stages, General Classification, Sprinters Classification, and the Team’s Classification, the High5 Dream Team have confirmed their status as the premiere team in the country for the second season running. 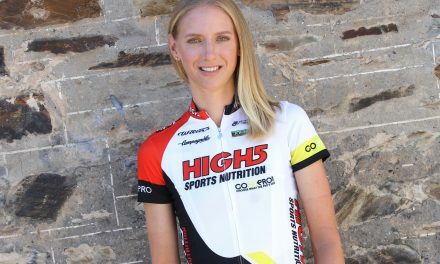 On a dramatic final day of racing in Canberra, Kendelle Hodges won the Stage 3 kermesse, Rebecca Wiasak sprinted to victory on the Stage 4 criterium, and Lucy Kennedy claimed her maiden General Classification win. ‘I’m really really happy to win the tour, and for the High5 Dream Team to win every stage of the tour. It was an incredibly successful tour, we cleaned up again! ‘I’m so happy to have been able to contribute to the continued success of the team, we’ve now one the Subaru National Road Series team’s classification in the team’s first two years. We have the best sponsors and best support of anyone, so it’s really great to be able to go out there and perform right at the top of the series. ‘I’ve been up there in the mix all season, but haven’t quite been able to get over some of the top competitors before, so it’s been great for me to step it up a notch this tour. For the last few tours I’ve been getting really close, so I’m happy to be able to finish it off today!’ said Kennedy. Team captain Kendelle Hodges was thrilled to add her name to the winner’s list when she took out the Stage 3 kermesse in the morning. ‘It’s a pretty special team when your teammate can come up to you with 15-20km to go and say ‘it’s your turn today’ so it was really special when Beck (Wiasak) said they were riding for me at the finish. I had to win once she said that! Beck was on my wheel, so if anything went wrong I knew she would cover it as well,’ said Hodges. 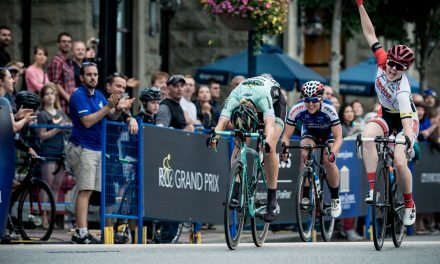 In the final stage of her home tour, Rebecca Wiasak put in a Herculean effort to chase down the breakaway, reeling them in on the final corner. ‘It’s incredible to win at home! My teammate Kendelle Hodges won Stage 3 this morning and we went 1-2. I know this criterium course very well, we race here every week, so it’s so exciting to be able to throw both hands in the air. ‘There was a break of three riders away and our team wasn’t represented, the High5 Dream Team had the leader’s jersey so we had to protect Lucy Kennedy from any counter attacks from Ruth Corset. Towards the end when the break was still away I had to just put my head down and attack. I was able to catch the break and I’m really excited to win. ‘I’ve been back in Australia for about six weeks I’ve been doing a bit of training and racing. 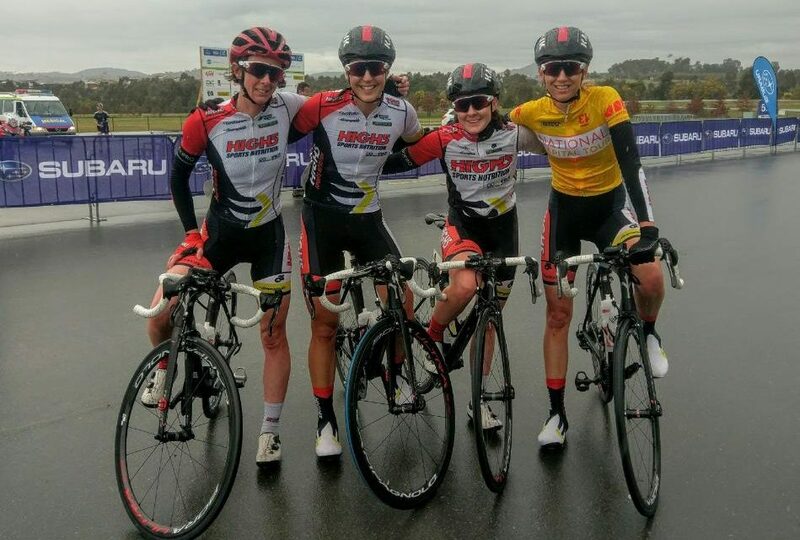 This is the last round of the Subaru National Road Series for the women, and the High5 Dream Team have won the tour this weekend and the overall women’s series!’ said Wiasak. 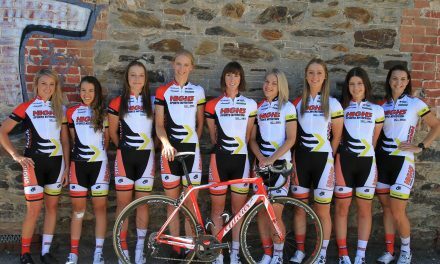 By winning the Team’s Classification, the team confirmed overall victory in the series for the second year running, much to the delight of Donna Rae-Szalinski who lead the team during the 2016 Australian summer and throughout the 2015 season.